Twenty paintings seized by Italian police last summer from an exhibition of works by Amedeo Modigliani held in Genoa are forgeries, according to Isabella Quattrocchi, an independent expert appointed by Italian prosecutors to assess the images. 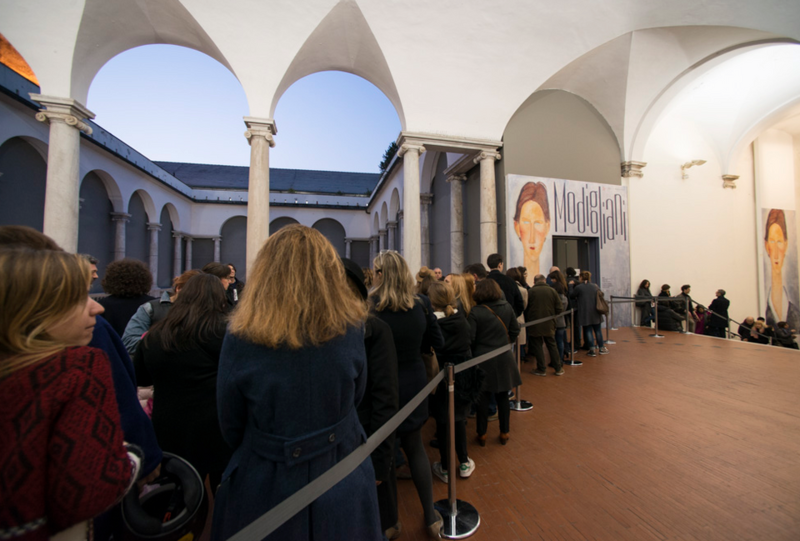 The show at the Palazzo Ducale closed three days early last July after the Genoa state prosecutor ordered the seizure of 21 alleged fakes. Quattrocchi states in a written report that in “terms of both style and the pigments [used]”, the alleged paintings by the early 20th-century artist are “crudely forged”. She adds that the frames come “from countries in Eastern Europe and the United States, and cannot be linked to Modigliani’s context or historical period”. The Italian collector Carlo Pepi and the Paris-based art historian Marc Restellini both questioned works in the show. An Italian court will now consider Quattrocchi’s findings (she declined to comment further). Palazzo Ducale officials say in an email that the palace is the “injured party”, as the Genoa prosecutor has established. “We will therefore seek a reimbursement of the copyright damages which we have suffered,” officials say. The show drew more than 100,000 visitors. According to the Italian news agency Ansa, three people are under investigation including Massimo Vitta Zelman, the president of the Mondo Mostre Skira company which organised the Modigliani show. “Dr Zelman is among the suspects, but he does not want to respond, mainly because the reports in Italian newspapers about the investigation, which has yet to be completed, are just rumours,” says his spokesman. The exhibition curator Rudy Chiappini is the third suspect but could not be reached for comment. He told the Italian newspaper Il Messaggero: “I limited myself to gathering existing information. It will be necessary to go back to the source, to whoever made the first attributions.” The new information about the frames is “ridiculous”, he adds. Meanwhile, the curators of the Modigliani exhibition currently running at Tate Modern in London (until 2 April), say they have taken all necessary steps to ensure that the works in the 100-strong show are authentic. “For this exhibition, we are only borrowing works that feature in the widely accepted 1972 catalogue raisonné by Ambrogio Ceroni, so we have no reason to be concerned,” says the Tate co-curator, Nancy Ireson. Ceroni’s catalogue raisonné, first published in 1958, is considered the benchmark. POSTSCRIPT (11 January) — Joseph Guttmann says in an updated statement: "We firmly believe the paintings are authentic, as also confirmed by their previous certifications, scientific analysis and inclusion in important exhibitions and publications."